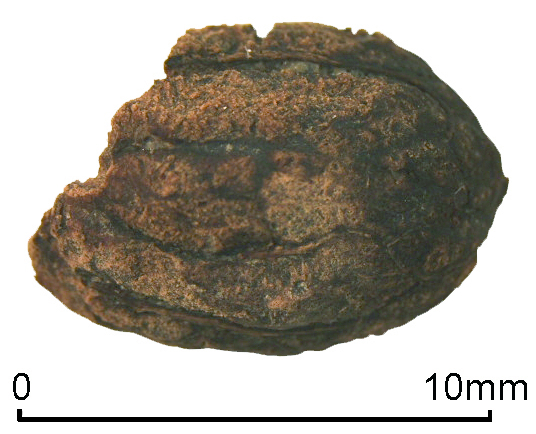 Ongoing excavations at Silchester, Hamps., (CA 250) have uncovered the first evidence that Britain’s inhabitants were enlivening their meals with Mediterranean flavours before the Roman conquest – including Britain’s first Iron Age olive. Previously it was believed that only liquids such as olive oil and wine were imported across the Channel in the Iron Age. But now University of Reading archaeologists have found celery and coriander seeds – used as seasoning – and an olive stone at the bottom of a late Iron Age well, all pre-dating AD 43. Another well yielded a celery seed from the same period, and several dill seeds dating to c.AD 40-50. ‘Topics such as global food trade, food security and self-sufficiency may seem like issues only for the present day, but this unique discovery shows just how sophisticated Britain’s trade in food and global links were, even before the Romans colonised in the first century AD,’ said project leader Prof. Mike Fulford, who has been researching Silchester for the last 40 years. 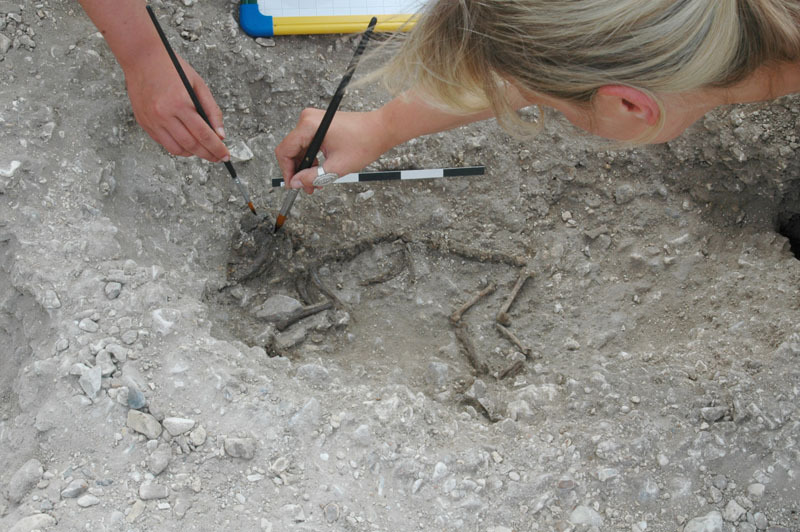 Another rare find from the last season of excavation at Silchester was the skeleton of a ‘toy’ dog, standing about 29cm high at the shoulder, similar to a modern poodle. Its remains had been placed in a normal, relaxed position as if it were resting – suggesting that the animal was a beloved pet that had been given a formal burial. The University of Reading has been excavating the Roman town at Silchester since 1974, and in 2008 Prof Fulford and his team found the first evidence of its Iron Age origins. This year’s Silchester fieldschool runs until 12 August, during which visitors are welcome to see the excavation in progress every day between 10:00am and 4:30pm, except Fridays. Groups must book in advance. There will also be open days on Saturday 21 July and Saturday 4 August, with expert tours, talks, and demonstrations. There will be a range of fun activities for children, including a mini excavation, and the chance to dress up Roman-style and handle some of the finds. Admission and activities are free, and refreshments are on sale.